Eliminate the ordinary and transform your bathroom into a hip ode to Modernism! 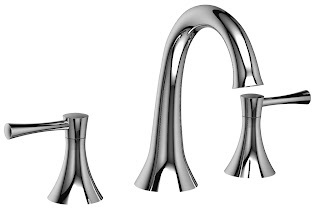 Get a handle on the new Graff Eco Faucet Series – truly the pinnacle of modern style. A model of sleek, streamlined, contemporary architectural geometry, this faucet series embodies the spirit of a new age, embracing the past, present, and future. Offering a fresh, minimalist perspective, Graff’s striking focal point brings a hip sophistication to your bath and places you at the highest level of the style game. eFaucets.com, the online leader of faucets, has the Graff Eco Collection and the entire Graff line to suite all of your design needs for a cutting kitchen and bathroom. Manhattan Collection – High Tech Performance with High Fashion Design! 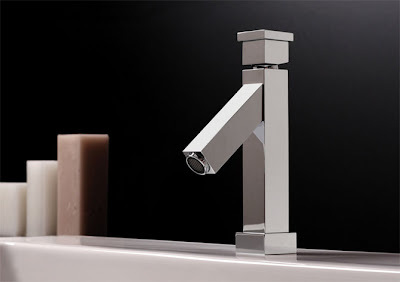 Looking to make a minimalist fashion statement with your faucet? The strikingly streamlined geometric design of the Graff Manhattan faucet collection will put you on the “style express.” This clean-lined metro-urban design, with an aura of jazz and pizzazz, will introduce you to a new approach for your bath, creating a fresh look that is uniquely yours. 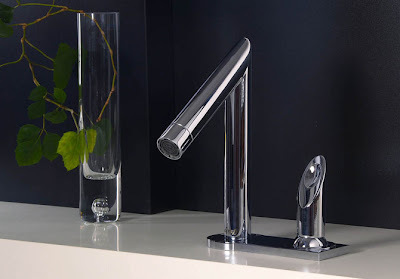 Graff faucets is a leader in contemporary faucet designs. eFaucets, the online leader of Faucets, has all your Graff needs to build out your kitchen and bath in cutting edge design and luxury. The Edge Collection from Riobel will very simply add a touch of refinement to your decor. The Riobel Edge collection includes an 8-inch centre faucet, a shower system, a bath faucet, and matching accessories. 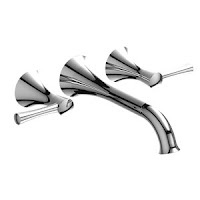 The items are available with cross or lever handles, as well as a chrome or brushed nickel PVD finish that guards against corrosion, scratches and tarnish. Riobel backs all its immense efforts in producing perfect products with a limited lifetime guarantee on our chrome, brushed nickel (PVD), gold (PVD), night brushed (PVD) and polished nickel (PVD) finishes and parts, starting from the date of purchase and against any manufacturing defects. Other finishes are protected by a one-year limited guarantee. Since you’re looking for quality products, you may already know that Riobel Faucets are certified CSA B125, a standard that guarantees the product’s mechanisms and the durability of its finish. All our lavatory and sink faucets meet the NSF 61 standard, which concerns water quality. Riobel provides optimum control over chemical contaminants and water impurities. All Riobel products are offered in a variety of finishes to best match the styles of your rooms. The PVD (Physical Vapour Deposition) process, a high-tech coating method used for surgical instruments, ensures that your fittings will retain the same striking beauty year after year, protected against tarnishing, discolouration, scratching and corrosion. 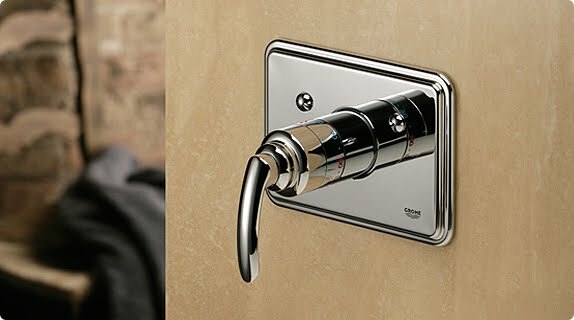 eFaucets.com, the online leader of faucets, is the first online retailer in the United States to be able to offer the full line of Riobel products. Is your towel warmer out of space because your family keeps tossing towels all over them? Amba Towel Warmers can help. The Sirio towel bar was made for just this, now towels can be evenly distributed leaving you more space on your towel rack to dry and warm your towels. The Amba Sirio towel bar, designed for everyday use, comes in two sizes: 10” x 2.5” and 17” x 2.5”. Available Finishes are polished and brushed stainless steel. To learn more about Amba towel warmer applications including wall art read our article Towel Warmer Applications Include Wall Art. You will be surprised to learn all the ways a towel warmer can be used to improve the quality of your life, save you money and improve the design of your home. eFaucets.com the online leader of faucets and accessories for the bathroom carries all Amba Towel Warmers and accessories at the best prices. If every man is king of his castle, then every king should have a throne. The Dagobert toilet from Herbeau is truly a one-of-a-kind piece that instantly identifies the royalty of the home. Constructed of solid ash, the Dagobert was inspired by the last ruler of the French Merovingian dynasty (629-639). Dagobert was a powerful king who ruled much of what is now Europe, and established Paris as the capital of his empire. The Dagobert stands nearly 5-1/2 feet tall and comes with a full range of accessories in a number of handpainted Moustier Polychrome finishes to complement any decor. "Le Bon Roi Dagobert" (The Good King Dagobert) plays whenever the lid is raised, and a bell sounds when the flush pull is activated. Herbeau's Dagobert is part of an exclusive collection of fixtures designed to make a statement. Noble homeowners can find the Dagobert at eFaucets.com along with a full line of faucets and fixtures. Thermstats and pressure balance valves blend the hot and cold water supplies and control the water flow to the showerhead. Thermostatic valves are more expensive, however they offer a number of beneficial safety features in return for the additional cost. For safety and comfort, a thermostat is an essential part of every shower. It allows you to pre-set a preferred water temperature and maintains it for the duration of your shower. A thermostat will adjust the water supply to the shower within the fraction of a second should there be a change in the temperature or pressure of the supplied water – for example, if someone were to flush a WC elsewhere in the home. A good thermostat will have a built-in safety feature to prevent the temperature for accidentally being raised above 38 degrees Celsius. Many also incorporate a diverter valve that allows you to switch between two shower outlets. Pressure balance vales work in the same way as basin faucets and can either be single control or dual control. They do not react to drops in water pressure or changes in temperature. The latest development in showering is the introduction of digital thermostats. These are operated by remote control – unlike a conventional thermostat, where the controls and the valve are connected to one another – allowing you to locate the thermostat wherever you choose. Individual user buttons allow you to pre-set your preferred water temperature and flow rate. Wireless technology ensures that there are no electrics in the shower area. If you have more than one shower outlet (for example a hand shower and a shower head) you will need a diverter valve or volume control. This allows you to divert the water between the two outlets. If you have a third outlet you may also require a stop valve. The number of shower heads you can have working at once depends on both the water pressure and the volume of hot water available. Call 1-800-891-0896 to talk to the Faucet Experts at eFaucets for expert advice on Grohe Faucets and Grohe Shower Faucets. Now here is a faucet and shower company that embraces the internet and the power of the iPhone. This is an awesome shower card iPhone application from the best shower manufacturer in the business. Grohe the inventor and trademark owner of the Rainshower®. Send unique shower cards to your friends – wherever you are. 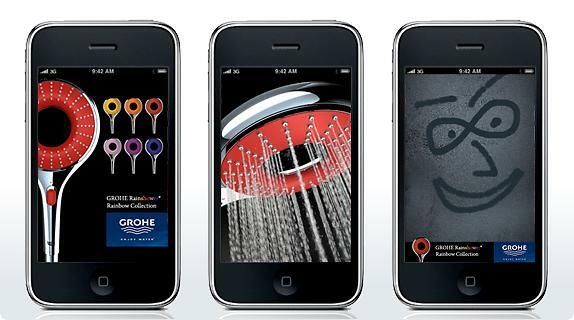 Start the GROHEcard in your iPhone, iPod touch or iPad and enjoy the perfect flow thanks to GROHE DreamSpray®. Use your finger to write a message or draw a picture in the steamed up shower cabin and send it to a friend.